26" drawer slides, one from Hettich and one from Hawthorne & Reid. These are full extension drawer slides with weight capacities of 100 lbs. & 500 Lbs. only in zinc finish. 26" drawer slides are less commonly used. As they are too long for most residential applications, they are used mostly in commercial and industrial projects. For maximum extension and space in drawer slides, the OVIS collection of 26'' drawer slides is the perfect solution. 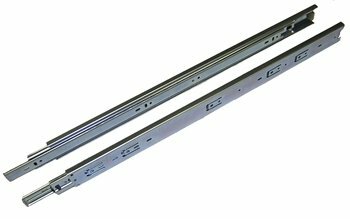 We carry 26'' drawer slides to meet any need, whether you need to increase the capacity of your drawers or simply replace your old, worn out drawer slides. 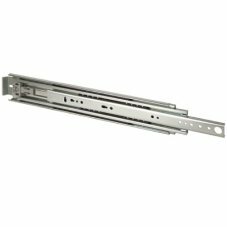 OVIS 26” drawer slides are most commonly used in commercial and industrial projects, as they are too long for most residential applications. A drawer that extends a full 26'' calls for more strength, simply because it will face more stress when items sit at the front end of the drawer. That is why OVIS' minimum weight capacity for their 26'' drawer slides is 90 lbs. For those who need to store heavier items, OVIS supplies 26'' drawer slides that can easily handle up to 500 lbs. None of OVIS' 26'' drawer slides are made with any cheap components. They are all made of solid metals, including zinc and stainless steel. 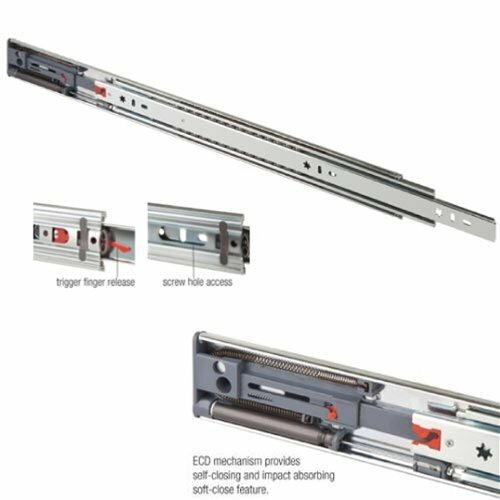 Our drawer slides are expertly manufactured by Hettich, Fulterer, Hawthorne & Reid, and Sugatsune. To learn more about OVIS' collection of drawer slides, feel free to browse our products online or contact us directly. 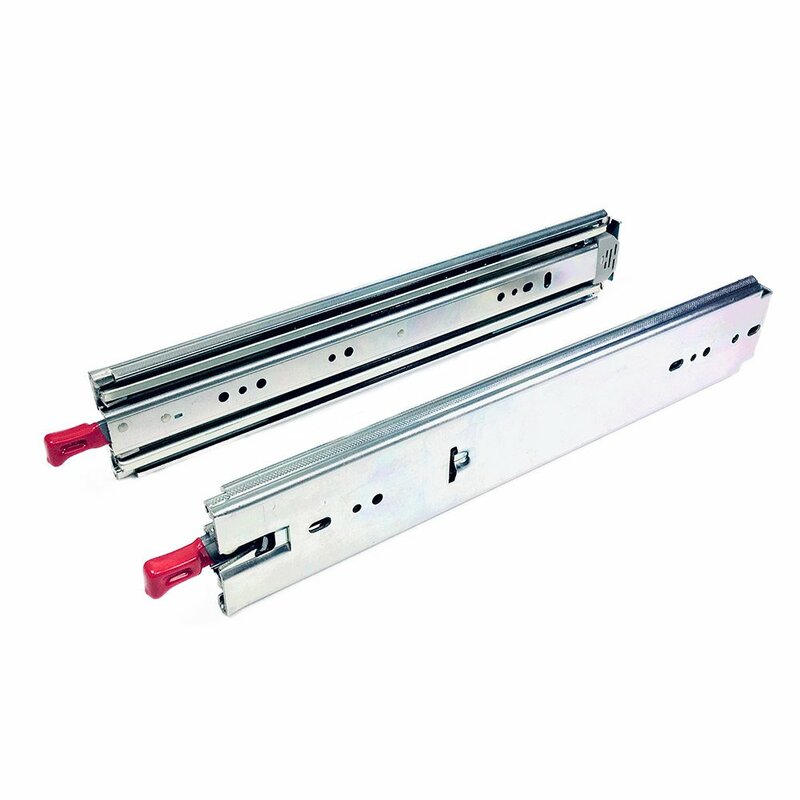 The Hawthorne & Reid HR2045 Industrial Series 26" drawer slides have a 100 lb. capacity, are full extension, allowing complete access to the back of the drawer. The steel ball bearing drawer drawer slide is a precision telescopic slide, with cushioned in and out stops and a positive hold in feature. 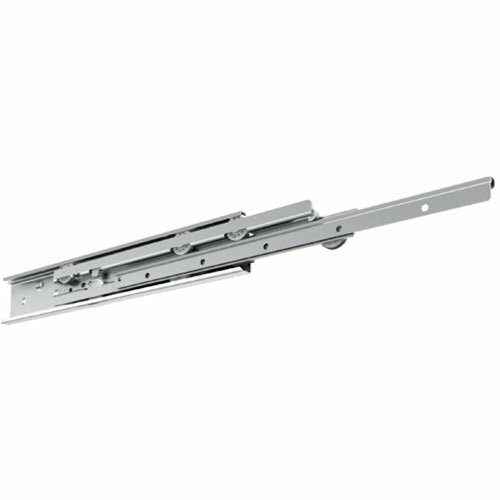 26" Drawer Slide, Heavy Duty, Full Extension, 500 lb. The Hettich KA 3320-26 are a telescoping precision full extension 26" drawer slides for high loads, up to 500 lb. capacity, with cushioned in and out stops. The zinc plated steel runners and ball race form a single non-detachable unit. The Sugatsune ESR-4513-26 is a 26 inch full extension stainless drawer slide. The 304 grade stainless drawer slides are ideal for use in damp, corrosive, coastal and marine applications such as boats, beach houses, laboratories, locker rooms, etc. 650mm (25-5/8") Heavy Duty Stainless Steel Drawer Slide, 53 Mm, 166Lb. The Fulterer FR5001.ECD 26" soft close drawer slides are ideal for cabinetry, furniture and other woodworking projects. 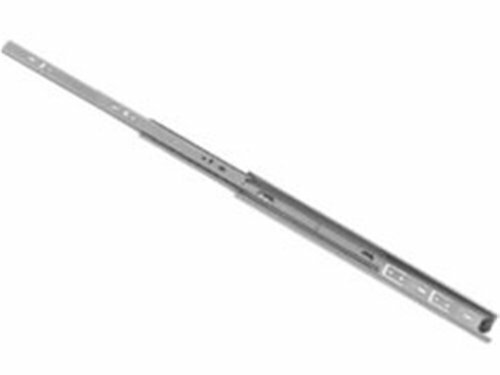 Fulterer FR 790.SCC 650 mm (26") is a stainless steel, NSF Certified drawer slide. Fulterer FR 7100.SCC.US (Narrow Flange) 650 mm (26") is a stainless steel, NSF Certified drawer slide. 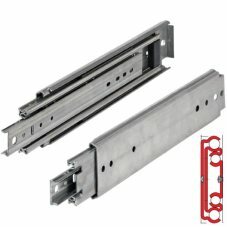 26" Drawer Slides, Over Extension, Heavy Duty 200lb. 26" Telescoping precision over extension slides for high loads, up to 200 lb. capacity, with cushioned in and out stops. Chromated steel. Smooth action and high side stability through precision ball bearings. Price is per pair. Screws not included. The 550 lb. 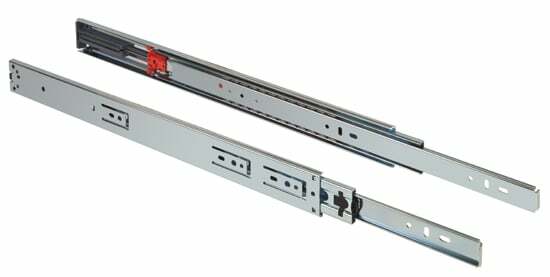 rated Fulterer FR5400, 26" Heavy Duty Drawer Slide is made of zinc plated, cold rolled steel and have a 3/4" installation width. They have stainless steel ball bearings and plastic ball spacers to reduce friction. This is a non-detachable slide.